Margreid is located on the famous wine route in the South Tyrolean lowlands – just as Kaltern, Eppan or Kurtinig. But Margreid is lying furthest to the south. 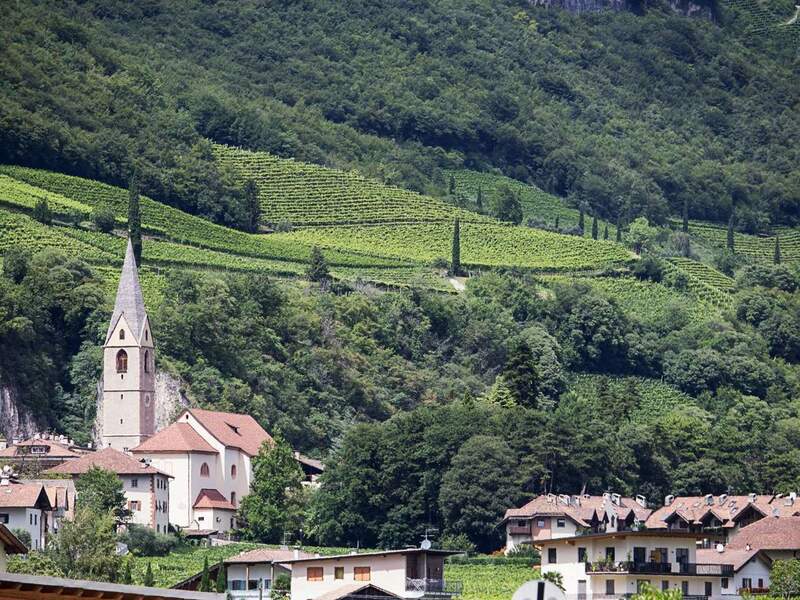 The small wine village has a quite long history and is situated at 240 m above sea level in a protected position directly besides the rock face of the mountain Fennberg, with the homonymous lake. In any case you should take a leisurely walk through the nice village. Margreid is not far away from the Italian-German language border, so southern and alpine flair is noticeable. Gothic buildings, noble stately homes and hidden courtyards characterize the village, as well as narrow alleys and beautiful old farmhouses. Among the main attractions of Margreid: the oldest vine throughout Europe, growing in the street “Grafengasse” since the 17th century and still yielding fruit.